Have you heard of this little movie called Captain Marvel? 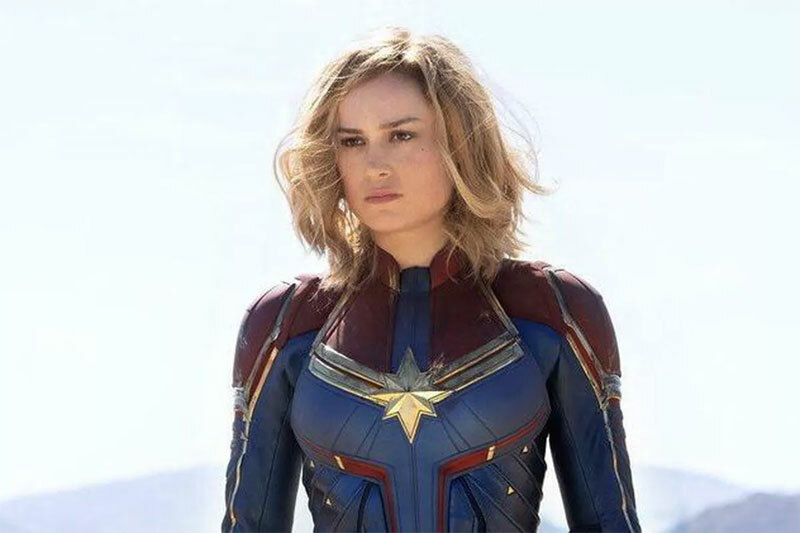 We’re talking about the latest in the Marvel Cinematic Universe, including Captain Marvel’s comic book history, our thoughts on Brie Larson, feminism, octopus-cats, and the 1990s. Please subscribe to Stinger on Apple Podcasts or your favorite podcatcher app. Subscribing is free and ensures you’ll be notified when new episodes are published. And if you enjoy Stinger, please rate and review us and tell your friends! Thank you for listening to Episode 42 of Stinger TV and Movie Podcast! 3:17 – What We’re Watching: Marvel’s Runaways, The Gifted, The Umbrella Academy, Behind the Curve, Making a Murderer Part 2. Captain Marvel is a Kree warrior fighting an intergalactic battle with the Skrulls. She finds herself on Earth in 1995 having vague, recurring memories of another life on that planet. With help from Nick Fury, she tries to uncover the secrets of her past while harnessing her special superpowers to end the war with the Skrulls. Was this a feminist movie?